When Sir Elton John sat down at his gold piano to pen the Academy Award winning hit song Circle of Life, we're not sure that he had the life cycle of ticks, from egg stage to full-fledged adulthood, on the brain. However, years later, John's 1994 classic could be used perfectly to describe the cycle a tick encounters from the start of spring to the first frost of winter: four unique life stages that often end with a bloody bite! 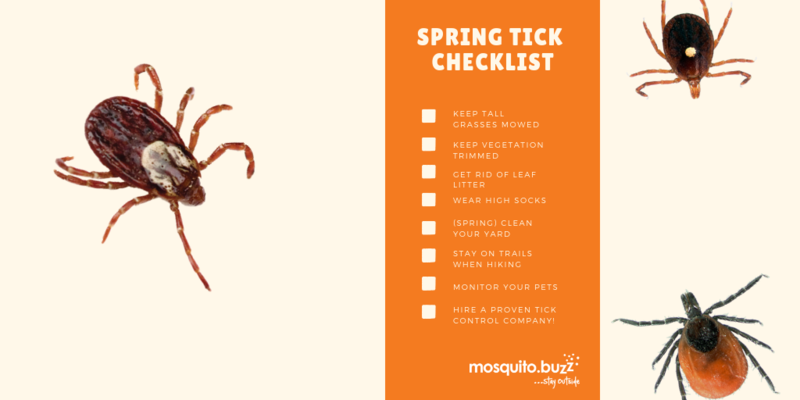 In honour of spring and the start of tick season, we thought we would revisit the tick cycle in our latest blog. 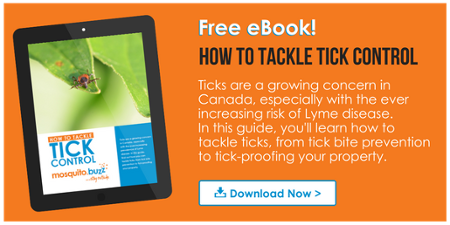 While ticks can be active all year round, risk of human exposure is greatest in the late spring and during the warm, wet summer months. Once warm temperatures rise, so do the ticks, and they will begin questing for their next blood meal as soon as they are ready. Unfortunately, this just happens to coincide with the start of our spring outdoor activities, including hiking, dog walks, and brisk afternoons spent opening up the cottage. Ticks have 4 life stages; egg, larvae, nymph, and adult. 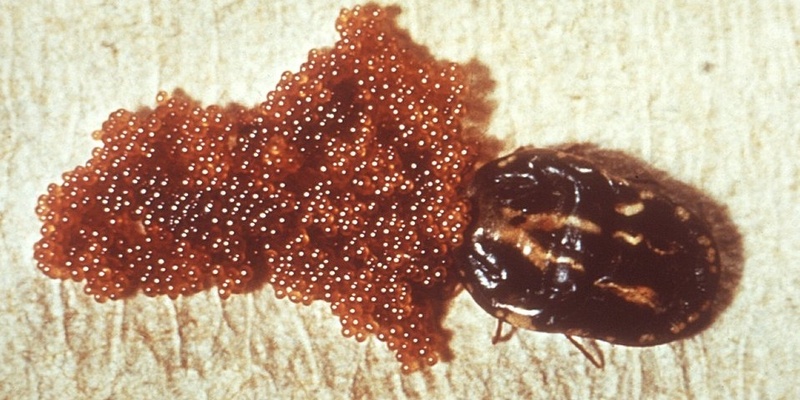 Female ticks lay thousands of eggs on the ground, which then hatch into larvae, known as 'seed ticks'. At this stage of life, these small ticks (about 1/8-inch in size) have six legs, instead of the eight legs they will have later on in their lives. Female adults die after egg-laying is complete. The next stage of a ticks life is its larvae stage. 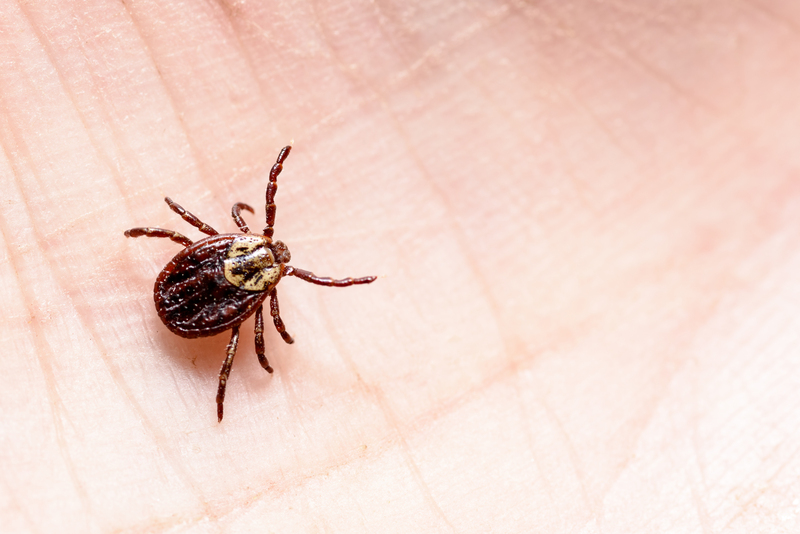 Once hatched, tick larvae remain close to the emergence site and climb up on grass and low vegetation so that they may attach themselves to small animals which pass by - such as mice, squirrels, rabbits, and birds. After feeding for 2 to 9 days on their hosts, the larvae drop to the ground, digests the blood, and then molts into the 8 legged nymphal stage. Just like the tick larval stage, this third stage of a tick’s life cycle also revolves around an active search for a blood meal. After molting, nymphs will attempt to attach themselves to a second host, molting into their eight-legged adult stage soon after feeding. While the nymphs prefer small animal hosts, humans and pets are also potential host substitutes. The final stage of a ticks life is categorised as the 'adult stage'. After an adult female attaches itself to a host, it often takes up to a week to complete its feeding. Once the female has become engorged, it drops to the ground and mates, although mating can also take place on the host before or during feeding. Males will die off after mating, while the females survive through winter and lay their eggs again the next spring.